I had a lot of fun doing CpE 493M: Mobile Robotics this semester. We explored on how to use various sensors and program them to build an autonomous robot that drives straight. The hardware was pre-built and all we had to do was to program the robot using a MATLAB toolbox. More details on the hardware platform are provided here. The robot has a bunch of ultra-sonic sensors, IMU sensor, kinect sensor, magnetometer and all the sensors(wheel encoders, bump sensors) in a programmable roomba. The processing power is provided by an 11-inch asus X202e laptop on a Intel i-3 processor. We were a group of 5 students who were given the task of navigating the hallway of our building at WVU. 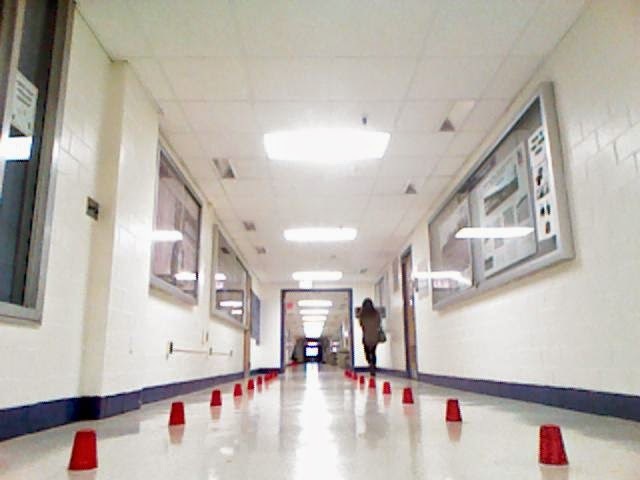 We wrote a program to drive across the hallway. The hallway wasn't exactly straight. So, even if we did dead-reckoning, the robot would steer into a wall or go out of the path. This is due to uneven friction on the wheels and other factors (such as cracks on the floor tiles). 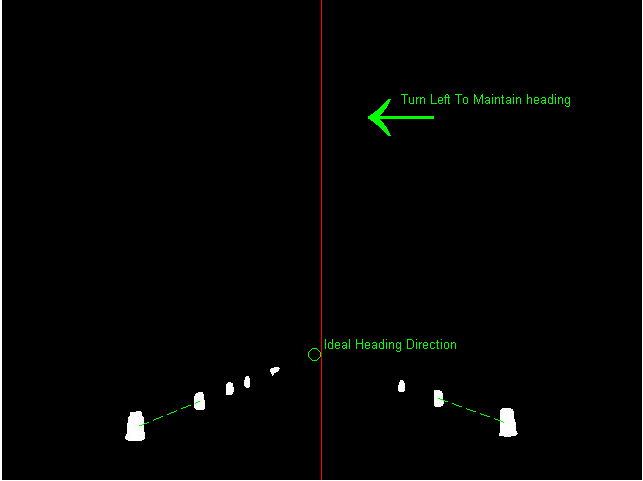 My primary task was to design the module that would take images from the Kinect Sensor and give the right heading direction (to steer left or right). This data would be provided to a PID controller that controls the heading direction of the robot. The robot has a differential drive mechanism. This way we are able to control the heading direction by changing speeds of the wheels. 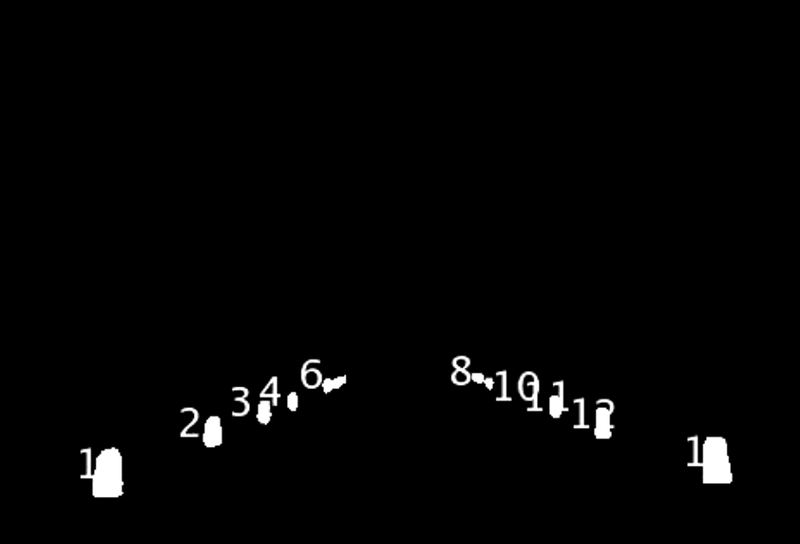 Then, we obtain a path by drawing 2 lines from the 2 cups from bottom-left and bottom-right and find an intersection point. Its a naive technique, but works well most of the time. 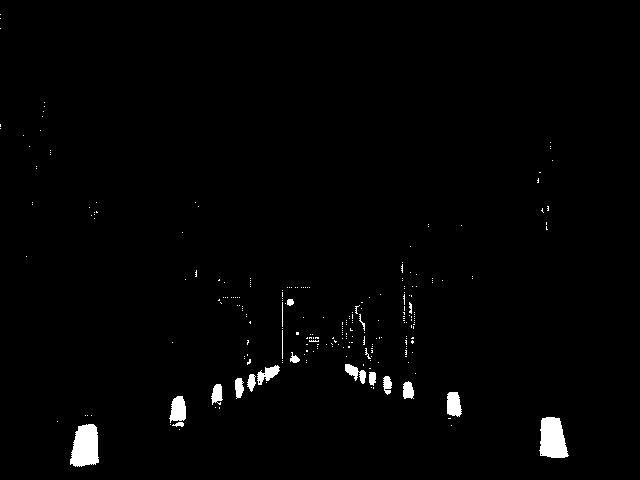 So, we do path correction after every few frames (5 frames). The data is collected at 20-30 frames per second.